After promoting the movie overseas, Jennifer Connelly, Rosa Salazar and Dua Lipa jetted to LA for the 'Alita: Battle Angel' premiere at the Westwood Regency Theater. Jennifer Connelly naturally was head to toe in LOUIS VUITTON which featured a PRE-FALL 2019 floral & lace panel dress, a box clutch and white double buckle heels. Jennifer's dress was shown in a different colorway in the look book but I version works better. However I wish the pink smokey eye trend goes away because it doesn't work. 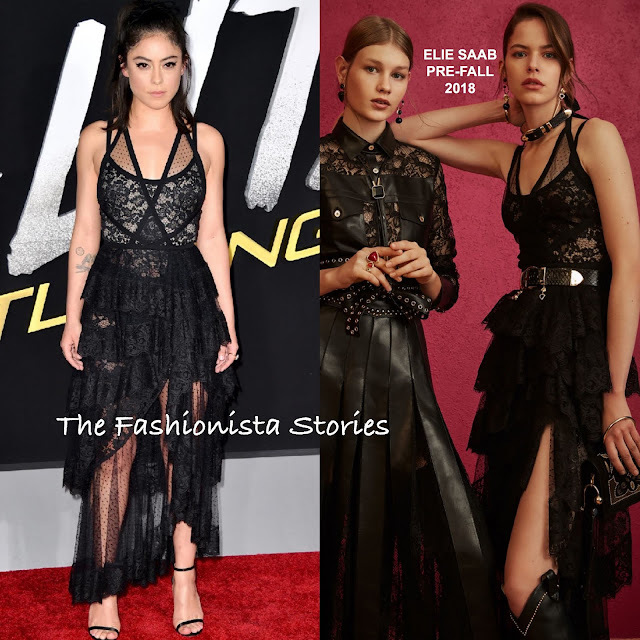 Rosa Salazar stepped out in a ELIE SAAB PRE-FALL 2018 black, lace dress featuring a layered bodice, a lace and tulle tiered skirt, and an asymmetrical hem. I actually wish she kept the belt, as it adds a touch of edge to feminine ruffle lace. However she still looked great. 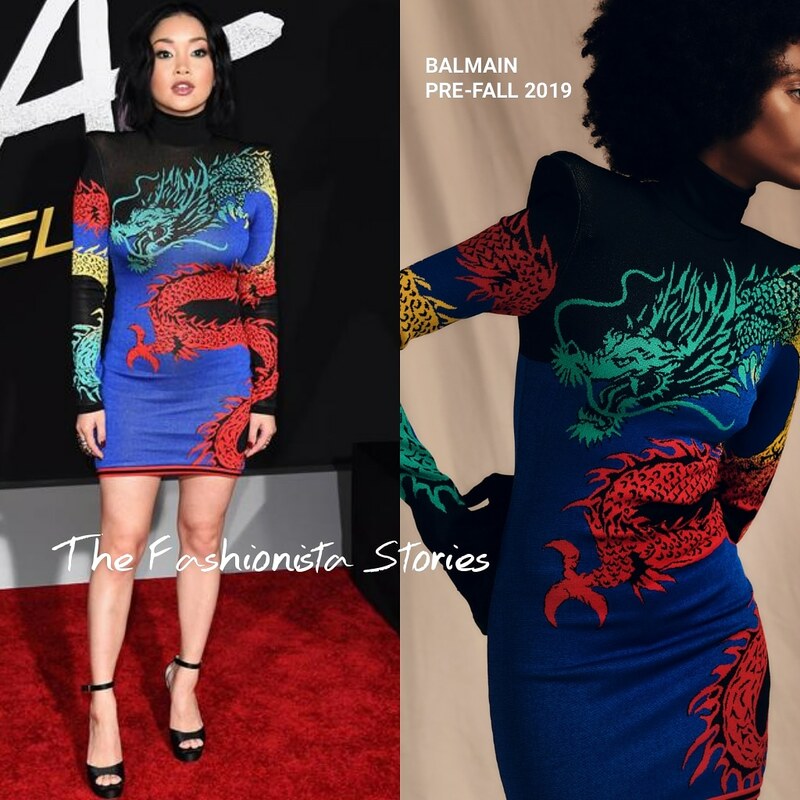 Lana Condor who is Cosmopolitans new cover star, wore a BALMAIN PRE-FALL 2019 colorful dragon embroidered mini dress, featuring the brand's signature padded shoulders and a turtleneck. This is a playful piece for the young starlet but she should stay away from padded shoulders. Dua Lipa didn't deliver on this occasion because while gold sequin embellished PRADA dress sparkled, it looked too tight on her and the black GIUSEPPE ZANOTTI platform sandals are too heavy.